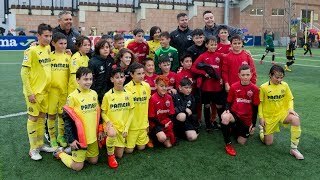 Daniele Bonera and Miguelón Llambrich returned to the classroom in Segorbe. The experienced Italian defender and the young Spanish full-back visited this Wednesday CEIP Pintor Camarón thanks to the Club Groguet's 'A Star In Your School' scheme. The Yellows enjoyed meeting the youngsters, sharing funny anecdotes and stories about their careers as professional footballers. The students from the Pintor Camarón School where able to ask what they wanted, in a press conference, where they acted as journalists. Finally, the kids got autographs from the two players and there was a group photo of the children with their idols. The 'A Star In Your School' initiative, part of Endavant Club Groguet, is a long-running programme. 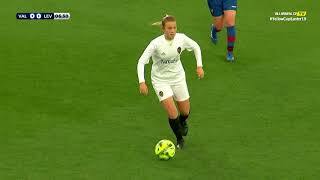 Bonera and Miguelón were the two footballers chosen to launch it this season, after it started three campaigns ago. 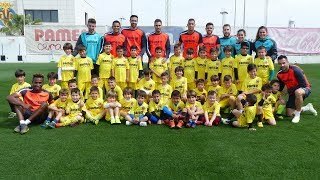 From now on this season, the Yellow Submarine's players will visit more schools to enjoy moments with children. 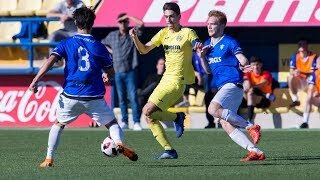 As well as interviews with Villarreal stars, schools in the Castellón province can also enjoy a free training session by Yellows youth football coaches and a free guided tour of the Estadio de la Cerámica.